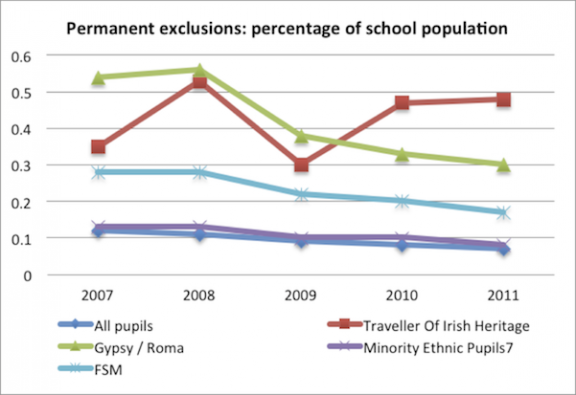 ACERT campaigns over the level of exclusion suffered by Gypsy/Roma and Traveller of Irish heritage young people. The most recent data was provided by the DFE in response to a request from ACERT. 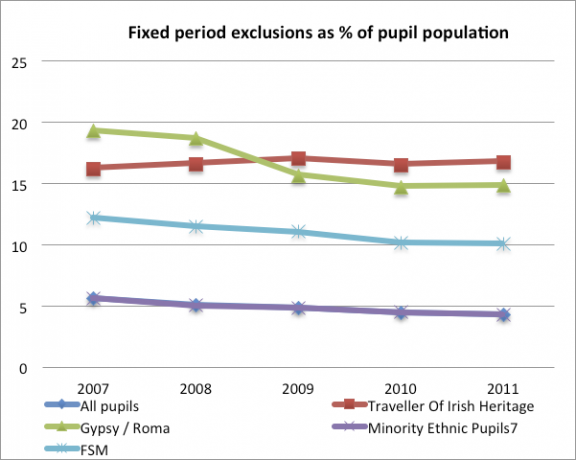 The fall in fixed term exclusions visible in other groups is not apparent for Irish Traveller, who are almost 4 times as likely to be excluded. 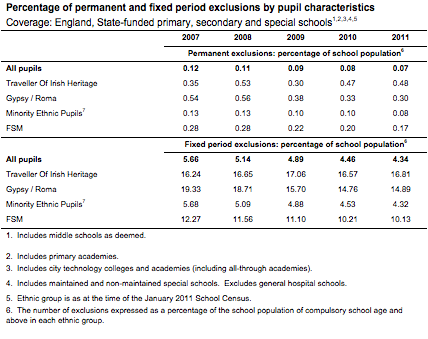 The significant fall in exclusions of Gypsy Roma is thought to be due to the growth in the proportion of Eastern European, whose cultural patterns make their exclusion less likely. There is a similar pattern with permanent exclusions. The reports produced by the Children’s Commissioner can be downloaded below.